In Episode 25, Julie and Scott visit the Guild of Assassins, then try to explain the nuances of human belief to Death himself. Instead, it's Death that teaches them a thing or two about belief. 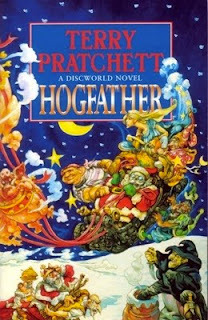 Hogfather by Terry Pratchett is the book. Julie and Scott got out of the convenience store just in time! After calling an ambulance, they talked about Tokyo Godfathers, a meaningful Christmas movie from an unlikely source. 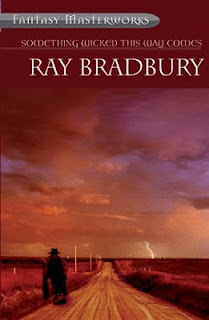 Episode 21: Something Wicked This Way Comes by Ray Bradbury. Also, Julie and Scott race to the barber pole, go trick or treating, and barely mention zombies. At Happy Catholic: Cardinal Virtues! Episode 20, in which Julie sacrifices her record collection to ward off zombies, and Scott wishes she hadn't thrown the Batman soundtrack. Shaun of the Dead is the subject! Hilarious movie. With zombies. Episode 17. Julie and Scott find themselves trapped on an island serving cold ham to eight seven extremely nervous guests. What could go wrong? And Then There Were None by Agatha Christie. Good book. 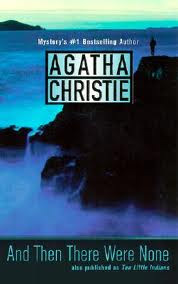 Agatha Christie on Forgotten Classics ... both nonfiction and "The Secret Adversary"
The Mousetrap and Other Plays by Agatha Christie - contains both "Ten Little Indians" and "The Mousetrap"
Julie's review of Now I Walk on Death Row. Episode 16. Or is it? Julie and Scott both remember how they got there, and are pretty darned sure they discussed Christopher Nolan's Inception, starring Leonardo DiCaprio and Joseph Gordon-Levitt. Cowboy's tailgating guidelines - evidently there are so many restrictions that they advise using nearby private lots. Episode 13 finds us in Renaissance Italy. Our book is Prince of Foxes by Samuel Shellabarger. Episode 12! About a Boy starring Hugh Grant, Nicholas Hoult, and Toni Collette. From the novel by Nick Hornby. It's Episode 11 time! Julie and Scott discuss Stories of Your Life and Others by Ted Chiang. In 1999, Gardner Dozois published the Sixteenth volume of his Year’s Best Science Fiction. 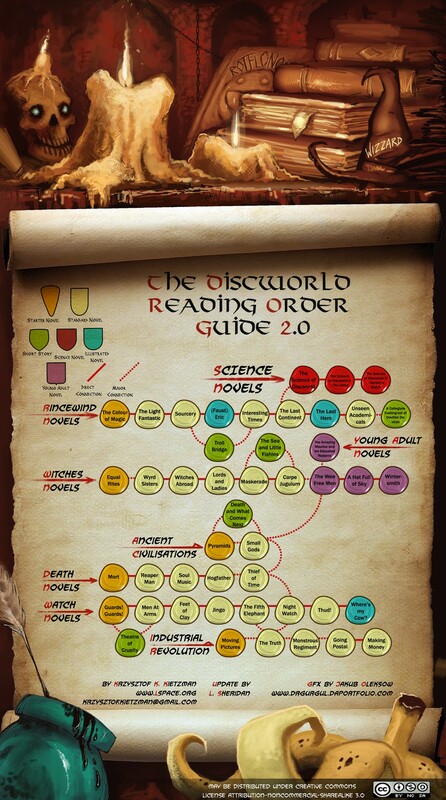 I bought a digital copy for Handspring Visor from Peanut Press (now eReader) and started reading. Included in that volume was “Story of Your Life” by Ted Chiang, a story that affected me so much that it renewed my interest in short fiction. In first-person prose that refers to past and future as if it were all present, a woman tells the story of her daughter’s life while at the same time telling a fascinating story of attempts to unravel an alien language. How it converges is breathtaking. 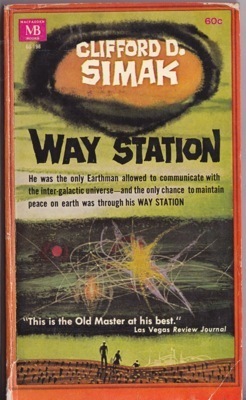 A good Chiang story (and they are all good, as I found out) mixes the intensely personal with exciting science and philosophy. 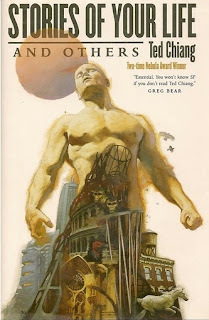 Stories of Your Life and Others includes all the fiction Ted Chiang wrote through 2002. Standouts other than the story I already mentioned: “Tower of Babylon” (building a tower to find God), “Understand” (a story that reminded me of “Flowers for Algernon” by Keyes), and “Hell is the Absence of God” (in which religious things are easily seen, yet a man struggles with faith). I’ve heard so many times the refrain “I just don’t get into short fiction”, and that makes me sad because if you don’t read short fiction, you don’t read these incredible stories. I urge you to read Ted Chiang. Anything by Ted Chiang. It’s all gold. “The damned are there because they offended a theological system that enforces certain consequences of suffering. But part of that theological system has also decreed that salvation was available to all men. Christ in his ransom had procured endless mercy. One need only wish to be saved, need only surrender his soul to God in a last gasp of contrition, and he will be saved. He may have to suffer at length in Purgatory, but, once there, his place is reserved in Heaven and he will in time arrive there. Purgatory is like our modern colleges: no one can flunk out of them. Episode 10 features Fallen starring Denzel Washington, John Goodman, Donald Sutherland, and Embeth Davidtz. It's a movie featuring a demon, and Julie and Scott place it at very different places on the Rank-O-Meter. In Episode #9, Julie and Scott discuss The Mystery of Grace by Charles de Lint. On the Day of the Dead, at the Solona Music Hall, Altagracia Quintero meets John Burns — just two weeks too late. Grace, as her friends call her, has a Ford Motor Company tattoo running down her leg and grease worked deep into her hands. She works at Sanchez Motorworks customizing hot rods. Finding the line in a classic car is her calling. Now Grace has to find the line in her own life. Grace loves John, and John loves her, and that would be wonderful, except that John, like Grace, has unfinished business: he’s haunted by the childhood death of his younger brother. He's never stopped feeling responsible. Before their relationship can find its resolution, the two of them will have to teach each other about life and love, about hot rods and Elvis Presley, and about why it's necessary to let some things go. Time for Episode 8! Julie and Scott discuss Stranger Than Fiction, a movie from 2006 starring Will Ferrell, directed by Marc Forster, and written by Zach Helm. Julie's column at Patheos - "The Hiding Place": No Pit So Deep"
In Episode #7, Julie and Scott discuss Eifelheim by Michael Flynn. Special Thanks to Sean McGaughey at the Catholic Roundup Podcast! In Episode 6, Julie and Scott discuss Quiz Show, a movie from 1994 directed by Robert Redford. Audio version of The Seven Storey Mountain by Thomas Merton from Uvula Audio - after clicking, you need to scroll a little more than halfway down the page. The soccer game Scott went to the night before the podcast. In this week's podcast, Julie and Scott discuss The Franchise Affair, a mystery novel by Josephine Tey. Julie and Scott take a look at The Castle, an Australian comedy from 1997. Neeta Lyffe: Zombie Exterminator by Karina Fabian. By the 2040s, the shambling dead have become an international problem. While governments and special interest groups vie for the most environmentally-friendly way to rid the world of zombies, a new breed of exterminator has risen: The Zombie Exterminator. Boardgames! Smallworld, Ticket to Ride, Carcassone, Zombies!!! This time around, Julie and Scott discuss James Lee Burke's Black Cherry Blues. This gritty story won an Edgar Award for Best Novel in 1990, and is third of Burke's Dave Robicheaux novels. The book is remarkable for its well-written prose and the emotional baggage carried by nearly every character. The setting is contemporary Louisiana and Montana. The Good Wife, a CBS TV series. Quirks and Creation, an Episode of Being from American Public Media. A discussion with John Polkinghorne about science and religion. "Science and religion are often pitted against one another; but how do they complement, rather than contradict, one another? We learn how one man applies the deepest insights of modern physics to think about how the world fundamentally works, and how the universe might make space for prayer." In Episode 2, Julie and Scott talk about Serenity, a movie written and directed by Joss Whedon. Great news - our iTunes feed is now working! 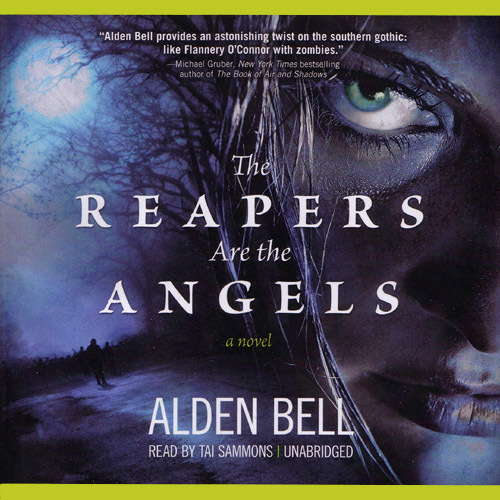 In the first A Good Story is Hard to Find podcast, Julie and Scott discuss The Reapers Are the Angels by Alden Bell! And here's the audiobook from Blackstone Audio, read by Tai Simmons. I love this cover! Announcing "A Good Story is Hard to Find"
Scott Danielson (from SFFaudio/Rivets and Trees) and Julie Davis (from Happy Catholic/Forgotten Classics) have a lot in common. 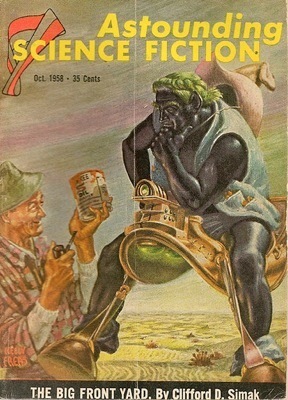 We both love science fiction, mysteries, fantasy, books, movies ... in fact, we love good stories, wherever we find them. We both love finding stories that have a deeper meaning that sheds light on faith, belief, life, and God. Especially when those stories are right out there in popular culture. The Lord of the Rings springs to mind. We both love talking about our faith, stories, and deeper meanings. Last, but not least, we love sharing the conversation. This bimonthly podcast will alternate discussing books and movies that we can't wait to talk about and to share with you. We will begin by discussing The Reapers Are the Angels, Alden Bell's zombie apocalypse novel. (My review here.) The movie to be discussed mid-January will be: Serenity. You might be surprised at the themes these works carry about belief, faith, and free will. We were. *Our patron author is Flannery O'Connor. Who else?